Tracking Pierrot includes an uncompromising new recording of Schönberg´s Pierrot Lunaire in an outstanding interpretation by Sarah Maria Sun and the Ensemble 29,46° S, 62,7° O under the baton of Manuel Nawri. Furthermore the world premiere recording of Pierrot Lunaire by Johannes Schöllhorn from 1992 that was recorded in presence of the composer and is based on a composition with the same title by Max Kowalski from 1913. Also, Hanns Eisler´s Palmström from 1924, which was composed in answer to the teacher’s composition, and two recordings of the open form composition Tracking Pierrot by Earle Brown from 1992. The recordings were produced at Christuskirche Oberschöneweide in Berlin and are availalbe in high resolution Stereo and Surround Sound. 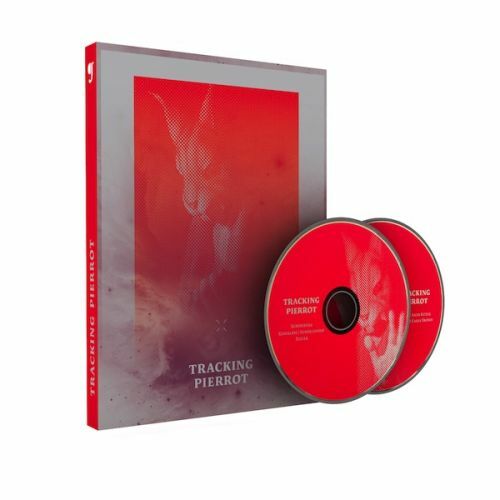 The CD/DVD Tracking Pierrot is available at Testklang´s Online-Shop and selected stores worldwide.